First Baptist Church Rayne - VBS! 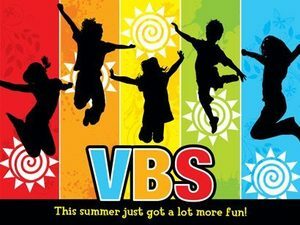 VBS stands for Vacation Bible School and is a nationwide program many churches offer. The purpose is to incorporate themed activities that entertain kids with the chance to learn about God. Vacation Bible School is an easy way to get kids involved in church while giving you the opportunity to meet the people within the church too. Church membership is not required to participate and it's a laid back atmosphere. VBS lasts about five weekdays in the summer. Vacation Bible School teachers are church staff as well as church members volunteering their time. Many of the church members helping out with VBS are parents too.